After practicing law for ten years, Michael received his call into the ministry. Over the past three decades, he has passionately ministered all around the globe. Michael is the founder of Cahaba Equipping Center, a ministry devoted to training and equipping leaders around the world. Michael is also the co-founder and executive director of Patria Ministries, an international association of churches, ministries, and businesses headquartered in Birmingham, Alabama. Michael and his wife, Elisa, live in Leeds, Alabama, with their four sons, Joshua, Caleb, Jacob, and Noah. 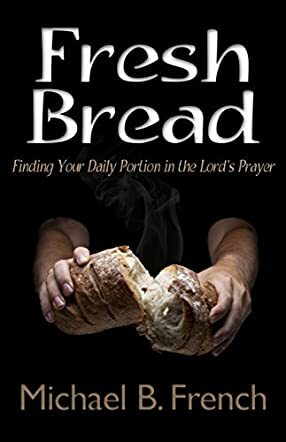 Fresh Bread: Finding Your Daily Portion in the Lord's Prayer by Michael B. French is a wonderful devotional in which the author breaks down the modern prayer when Jesus' disciples said, 'Teach us how to pray.' The author takes his time to go step by step through the prayer to help readers understand the importance of Jesus' words within the prayer. Let me first start off by saying that prayer is the most important tool that a believer has. The fact that the author took time to break down a familiar prayer demonstrates love and compassion. Love is a verb and is demonstrated, and the author establishes that demonstration with this purposeful devotional. Each aspect of the prayer is broken down into sections, where the author introduces a new thought concerning the modern prayer. The book starts off with the first section of the prayer, "Our Father." The next few pages are filled with a scriptural richness that allows readers to see what is meant by the very words. The author ends each chapter with a list of questions concerning the portion of the prayer he spoke of. This method allows readers to understand easily. To back up the title of the book, the author says, 'The Lord’s Prayer is not just a prayer—it never has been. It is something more. It is an aroma of bread baking in the ovens of heaven. Jesus spoke these words to whet our appetite and to invite us to become partakers of His glory.' This statement is profound indeed. The prayer that Jesus told His disciples was a pattern to bring us into the realm of prayer. Prayer is essential and the main communication we have with our heavenly Father. Author Michael B. French has made understanding this prayer easy and spiritually fulfilling. This is a wonderful read I'd recommend to all.